For Christian students who would like to write an icon. 1. Minimum of 3 students. 2. Private lessons available and cost more. 3. The group organizer receives a discount (minimum of 4 students). 4. Actual price depends on the location and the option of materials used. 2. Up to eight hours each session. 3. Estimated workshop price for Brookfield, WI location is about $450 (includes some materials) for 6 sessions. Prepaid. 4. Instructor travel and set up locally is an additional fee (up to a 2 hour radius from my location in Brookfield, WI). 7. For longer distances, please inquire. These would be week-long courses. 1. Learning the skill of board preparation. A summer or fall course only. 2. Specify your own workshop based on needs and interests. Beginners would learn about and write a Christ Emmanuel Icon. Link to more information about an Emmaunel Icon selection. Christ will be presented with in a roundel of approximately 10 inches ( board of 11 inches) with the scroll and blessing hand showing. Gold Pigment, non tarnish, gold background and halo will be painted on. Background color optional. There is an additional fee for 22Kt halo gold. 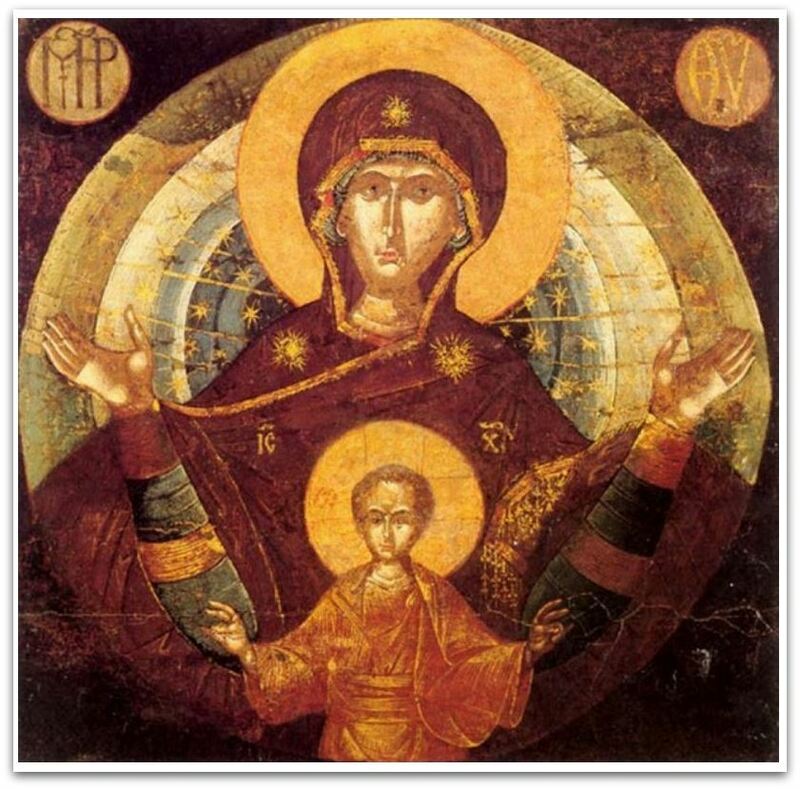 Theotokos of the Sign is offered for students who have more art or painting knowledge. One workshop, one icon selected. Theotokos of the Sign is a favorite type. Shown here is a medieval version. We will be "breathing new life" into this wonderful image. Minor adjustments to the Virgin's facial structure, for example, will be made.